Floor and Carpet Cleaning | Ashford Cleaning Contractors Ltd.
At Ashford Cleaning Contractors Limited our specialist team of cleaners use the latest equipment to provide a high quality floor and carpet cleaning service. 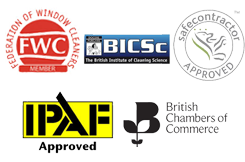 Whether it is routine mopping and buffing or one off carpet cleans we do it all. · © 2019 Ashford Cleaning Contractors Ltd.